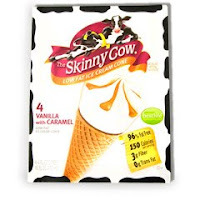 Here is a printable coupon for $1.00/1 Skinny Cow Diet Ice Cream treats. You can print it through IE here or Firefox here. You can also save $1.00/1 Total Cereal — IE here or Firefox here. If you print two of those and stack them with the $1.00/2 Target coupon, you can save $1.50 off of each box! Save $1.00/1 Pillsbury Sweet Rolls by going here (click on the $1.00 off coupon image at the top of the screen). Muir Glen – $1.00/1 & various other printable coupons here (will need to register to be able to print these).